If you're like me, you want to stay at home as long as you can while growing older. However, if you live alone without a companion or adult child nearby, it's particularly difficult to manage; to remain safe, and continue being independent. For local leaders, there are mounting concerns about the older folks living in rural areas and suburbia because many go without needed services. Identifying the needs will ultimately keep aging residents out of hospitals and nursing homes. Besides, as one ages, driving becomes a substantial barrier to a having a higher standard of living. Although, younger seniors have no issues with getting where they need to be. It affects the seniors who are in the worst health; they indicate that they have problems getting to a pharmacy and grocery store. Betsie Sassen, Capitol Consulting, LLC, Adopt the Village Model, which is a growing movement in the U.S. It is a neighbor-to-neighbor system that provides transportation, home repairs, health and wellness, and social events. The Beacon Hill neighborhood in Boston created the 205 Villages; another 150 are in development. Anthony Cirillo, TheAgingExperience.com, we need to build NORCs, Naturally Occurring Retirement Communities like the ones built in urban areas where seniors congregate, allowing them to walk to what they need. Our suburbs have needs for the same. But there's an issue since suburbia is so spacious, how will the seniors who live at a distance get to the needed services? Michelle Jeong, LifeAssist, Catholic Charities in Santa Clara serves several thousands of older persons who desire to age in place in a suburban setting. They offer multiple services like senior community centers, onsite caregivers and nutritional programs to ensure that seniors remain engaged, active and healthy. 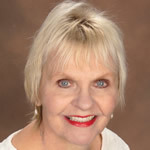 Shannon Martin, AgingWisely.com, there are ways small businesses can help. Grocery delivery, driving services, and house cleaning. The shared economy/innovation can make these activities more accessible and affordable. We created a falls prevention coalition locally; this is an excellent way to educate (and provide resources) about the risk of falls, one of the fastest ways to derail plans to age at home. Kathy Birkett, SeniorCareCorner.com, we have seen examples of livable communities. Older persons who form partnerships to help with home maintenance, socialization and giving help when needed is vital. Agencies can help with yard work, home repair, and transportation needs. Dr. Eboni Green, trusted neighborhood associations and the Area Agency on Aging are reliable resources who can start a dialogue in local towns. Partner with them to deliver the services that are needed by the elderly. Connie Chow, DailyCaring.com, home safety, home maintenance, and meals are top challenges, in particular for those with fixed incomes. To support them, communities could create free or low-cost programs that provide volunteer drivers, meal and grocery delivery, volunteer companions, home safety updates, and housekeeping, lawn, and handyman services.